Thanks for 8 Years of Cabaret Macabre! Thanks to everyone that came out to Cabaret Macabre’s 8th year. We had a blast. As usual, the lineup was amazing: from the sultry, distinguished sounds of Eliza Rickman; to the briliant junkyard cacophony that is the Pretzelmen; to the sheer Grampy-ness of Baby Gramps and his co-horts; to the beauty and grace provided by all the dancers; to the sassy tongue of MC Diva Le Deviant; and finally to the sloppy drunken mess that is The Bad Things, a good time was had by all. 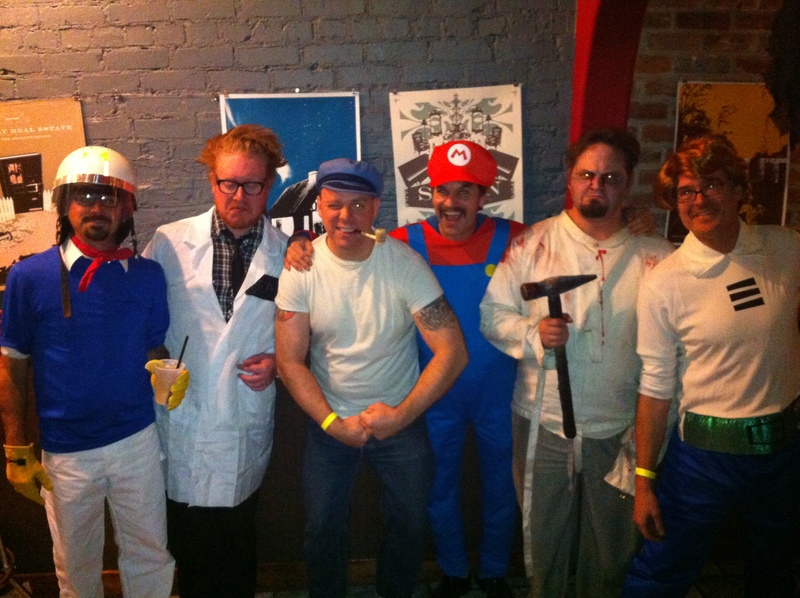 Check us out in our cartoon-inspired costumes. We got old “Speed Racer” Panto there on the left, of course “Beeker” Hogan, “Popeye” the Pickpocket, “Mario” the Gypsy, “Mad Wilcox” as, well, Mad Wilcox and Steve “George Jetson” Kamke bringing up the right hand side. Sheer genius! Or, at least, better than last year. Thanks Columbia City Theater for having us and our crazy friends. We’ll be laying low over the next couple months but got an epic bill planned for January on Capitol Hill. Stay tuned for that. Meanwhile, check back on the process of our blog which will soon become our main website. Should be improved vastly, with things like regular updates and show dates and everything! Look at us getting all fancy. See you soon. This entry was posted in Cabaret Macabare, Shows and tagged Baby Gramps, Columbia City Theater, Diva Le Deviant, Eliza Rickman, Halloween, j9 Fierce, Peculiar Pretzelmen, Petite Mort, Skinny Dip, The Bad Things, Triptych, Troupe Hipnotica by Jimmy the Pickpocket. Bookmark the permalink.